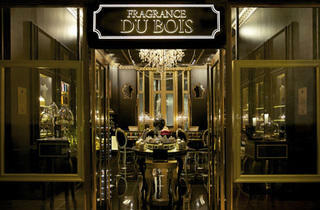 Natasha Hong sniffs out the rare offerings at the first flagship Fragrance du Bois boutique on our shores. 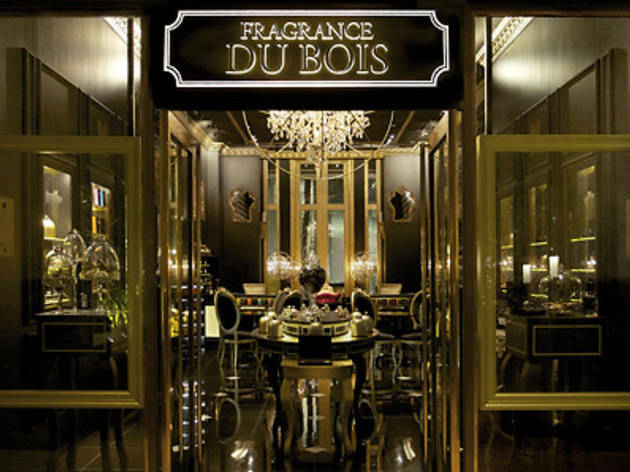 Housed in a boutique kitted out with glossy black train cases, matte gold pendant lamps and a wash of heady scents, the liquid elixirs at Fragrance du Bois are fit for old world royalty. To clinch its exclusivity, the brand centres all its scents around oud. Oud is a rare, dark and fragrant resin that’s extracted from the agarwood tree in miniscule quantities – think 30ml or so from a seven- to nineyear- old timber. Although the tree is a protected species, the oils used in Fragrance Du Bois’ scents are ethically farmed. In Du Bois’ range, oud, with its oaky, cognac notes, shapeshift and add body to the perfume. The core scents in the Shades Du Bois unisex range, formulated for the brand by fifth-generation perfume master Francois Merle- Baudoin, are colour- and mood-coded. They pair oud with ingredients such as coriander, bergamot and rose. Make no mistake about the ultra-premium quality of the scents in here though. For the rare oud oil (said to be priced one and half times that of gold) and the amazing longevity and potency it lends to the perfumes, expect to pay upwards of $575 for a 50ml bottle off the shelves. Four of Fragrance du Bois consultants are also trained in Singapore to offer slight tweaks to their main line of perfumes by appointment, which they price at $595 for a 30ml bottle. For the scent-loyal, there’s also the fully bespoke experience that grants you an audience and one-on-one consultation with Merle-Baudoin. Clearly aimed at the moneyed – it’s a hefty $15,000 for the honour – the French nose crafts either an exclusive scent befitting of your personality or by referencing an old favourite, which you get to take home in a 200ml bottle and order more of when your stopper runs dry.